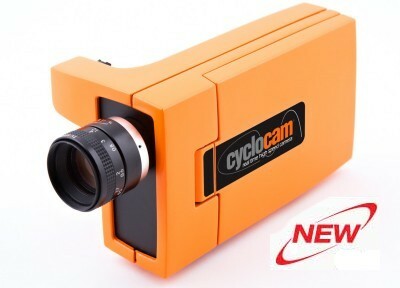 The Cyclocam high-speed camera helps you fix production problems, improve your quality and increase your machine speed. As your ambition might not be to become a high-speed camera expert, we made the Cyclocam high speed camera portable and easy to use: just take it, point it at the production line / subject and start filming to see the root cause of any issues. No need for an additional computer or worries about connections. A high-speed camera records, for example, a thousand images per second. As you can watch only 25 images per second, it would take you 40 seconds to watch each second. The Cyclocam high-speed camera can skip parts of the cycle that are not of interest, and allow the operator to focus on the critical moments. See in slow motion while you are filming and, in the meantime, make 'live' adjustments to your machine. No waiting, no processing, no downloading. Just watch, interpret and fix the problem immediately.